Butterflies are free at the Singapore airport. Airports say a lot about how a city feels toward its visitors. The chaos of JFK conveys the message “Hey, we’re New York. We know you’ll come here no matter how we treat you. Get over it.” The long lines of Heathrow say, “You chose to come to London. Now queue up and stop grumbling.” And don’t even get us started on the dougnut-shaped Terminal One at Charles De Gaulle. But Changi, the Singapore airport, conveys a totally different message. 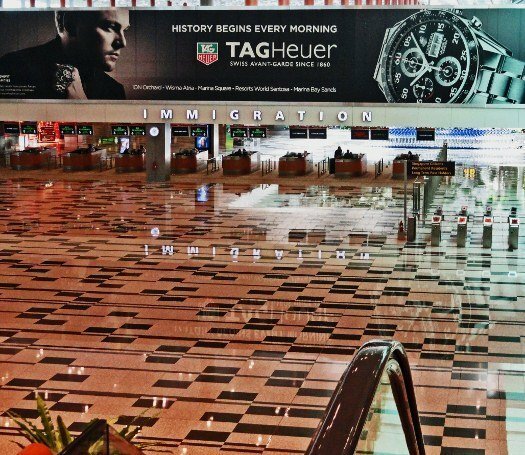 But why do travelers look forward to spending time at Changi Airport? Like seemingly everything else in this efficiently run city-state, the airport is a well-organized welcoming place. The message it sends to weary visitors is, “Relax, we love having you here. Is there anything we can do for you?” In the movie The Terminal, Tom Hanks ended up living at an airport for close to a year. At the Singapore airport it really wouldn’t be much of a sacrifice. A site you'll never see at Heathrow, immigration without lines. Even Leo looking down on it all approves. 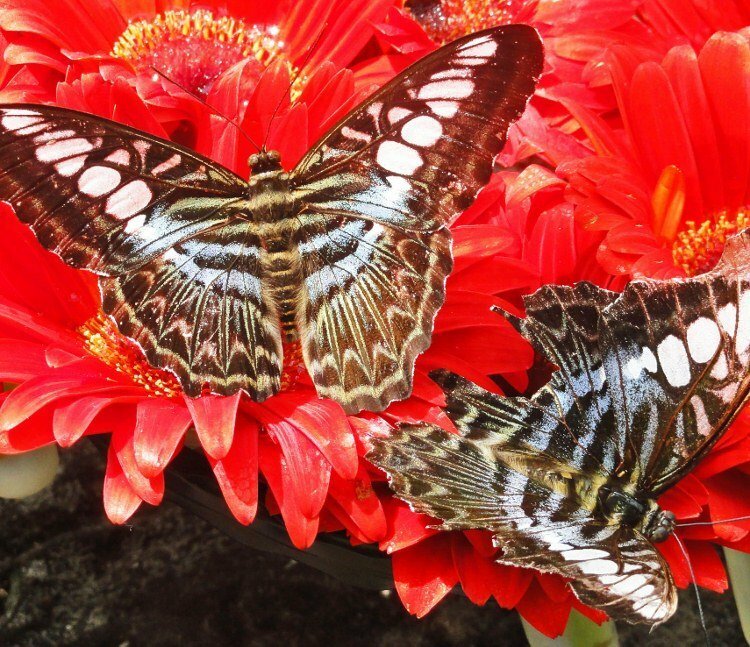 Those with only two or three hours before their next flight are directed to computer terminals with free Internet, a stroll through the world’s first airport Butterfly Garden or a free foot massage. The glass-walled Butterfly Garden is located right next to an active runway. In a neat juxtaposition of flight the fluttering butterflies frame A380s roaring overhead. Children can play in the fun park and whiz down the world’s tallest airport slide. (We’re guessing it’s also the only airport slide but at four stories high it’s still pretty cool.) A mobile Post Office on wheels even roams the terminal so you can mail out those last-minute packages or postcards. 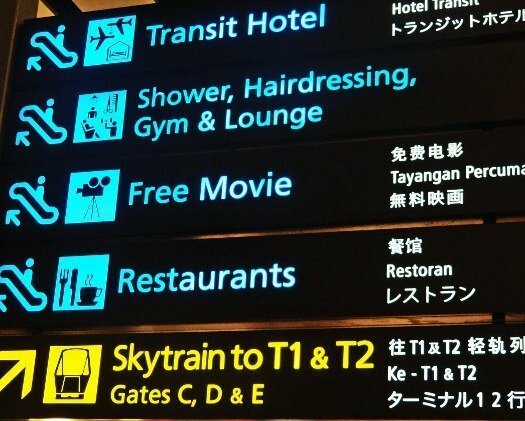 Clear signage directs passengers to some of the amenities. For a four to five-hour layover how about a refreshing dip in the rooftop swimming pool? Or perhaps take in a free current-run movie after a hearty dinner at one of dozens of restaurants. For those trying to while away five or more hours, free city bus tours are offered to take in the sights of Singapore. Or if you’re still suffering from jet lag you can just catch up on your sleep in one of the designated rest areas instead. The overall Changi Airport experience says a lot about Singapore itself. It’s clean, modern and welcoming. When our flight to Siem Reap was finally called we were reluctant to leave. Can you say that about your airport? Click the link to see more about life at Changi Airport in Singapore.